Specify where to write the Raw Disk Image archive. 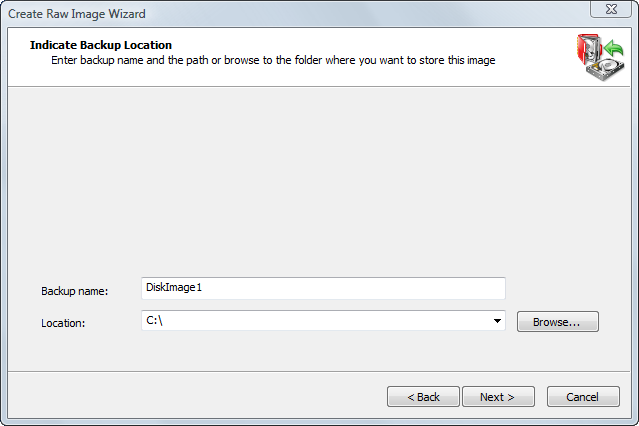 When creating an image, all files belonging to it (.DIM file, data files, .XML configuration file and optional text .LOG file) will be placed in one folder with the same name as the backup name. For example, if you choose a backup location such as C:\Backups and a backup name DiskImage, the main data file will have the name C:\Backups\DiskImage\DiskImage.dim.